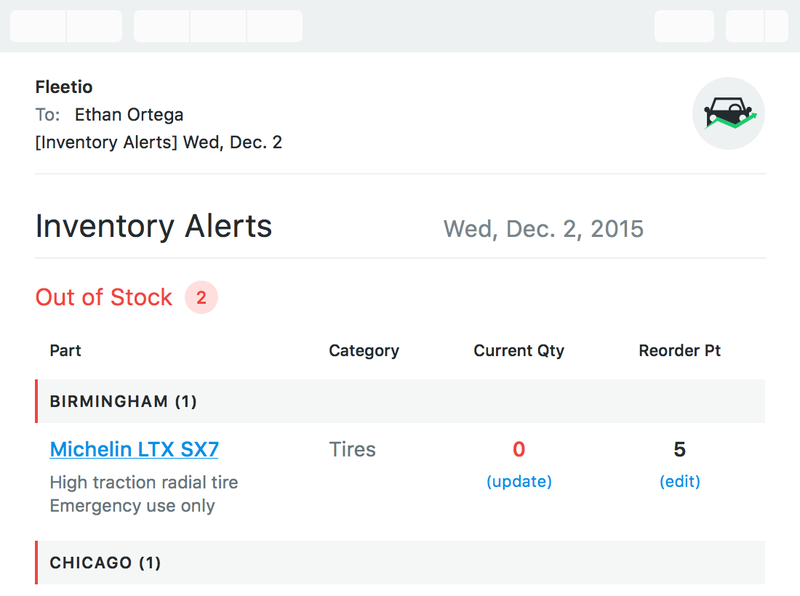 Keep vehicles active by quickly updating quantities and triggering reorder notifications. Record parts usage to improve maintenance quality and always have the parts you need on hand. Use reorder alerts to avoid expedited shipping charges when ordering last minute. 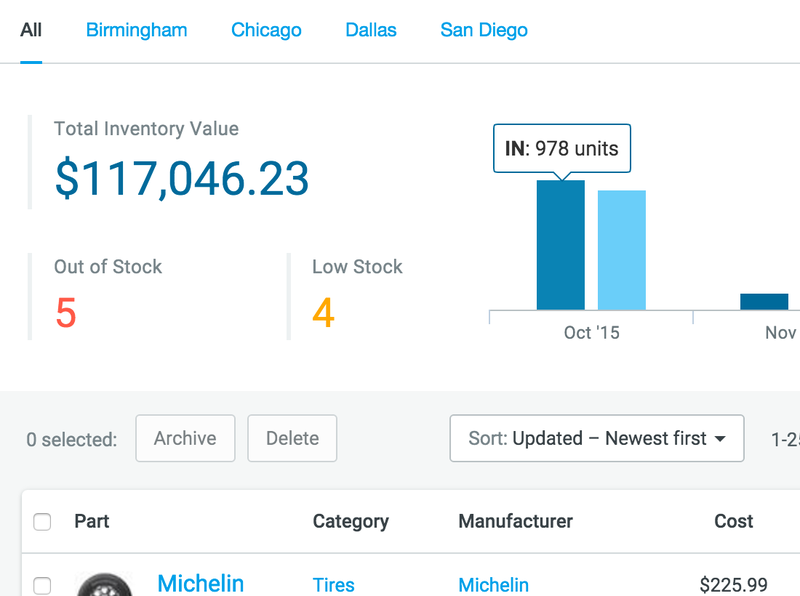 Use inventory tracking to avoid purchasing and/or storing unnecessary parts and avoid tying dollars up in inventory. Track inventory value and reduce parts costs (which are about 30-35% of maintenance costs). Record order history and even compare vendor prices to help make purchase decisions. The system has helped me control inventory, track vehicle service and cost, and it is very easy to use. 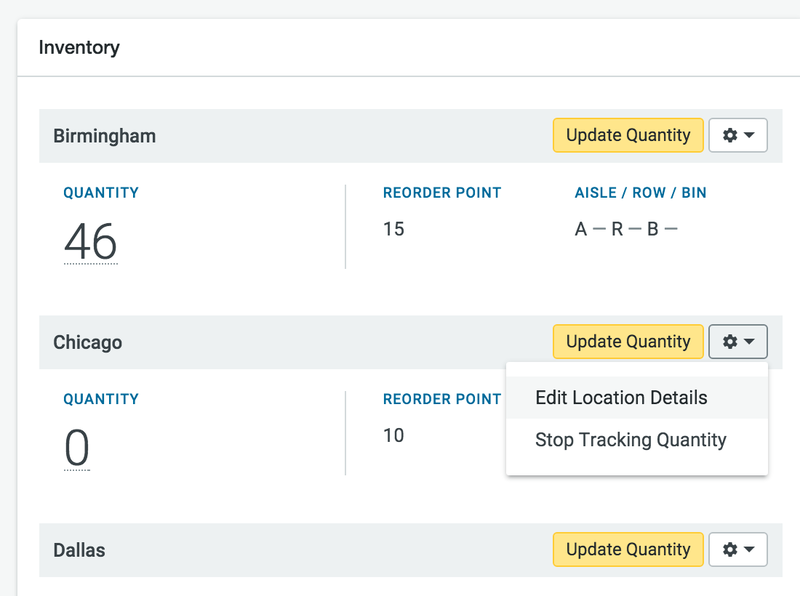 Manage multiple storage locations and track each part’s exact location - down to the aisle, row and bin. Optimize valuable space by only storing parts you need and keeping inventory organized. Improve operations by establishing workflows, managing bulk operations and allowing for easy collaboration - even on the go. 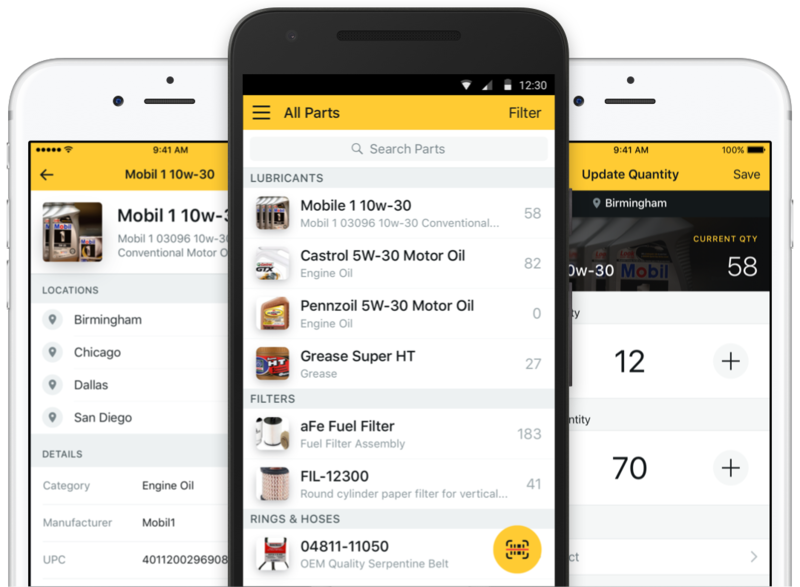 Download Fleetio Parts - manage quantities, locations, and more on the go! Unlock fuel trend insight, spot deficiencies and optimize vehicle allocation.